Who shops online, might have had problems with goods delivery. Sometimes it takes time, sometimes the goods does not arrive at all. For a Czech resident, it is quite easy to push pressure on a Czech trader, whose seat is not far and also courts and the Czech Trade Inspection is quite close. But what to do when goods has been ordered and paid at a trader from another EU country? In its short video clip on youtube.com, the European Consumer Centre Czech Republic shows how it could look like. A man orders a tea online, but the tea is never delivered despite the tea seller sent a teapot together with a cup. “The problem is somewhere on the way between the seller and the customer. Europe is large and goods may be lost or damaged. We solve many cases of such kind. And for example, the tea used in our clip could be poured out or could steam away. Then every customer asks what to do with it,” says Ondřej Tichota, Communication Adviser of the European Consumer Centre CZ. Then it is necessary that the two sides agree on a suitable solution. But there is the language barrier when the consumer does not understand the trader and vice-versa, sometimes the trader is not willing to communicate at all or is not willing to solve the problem anyhow thinking that the customer cannot demand his rights effectively when living in another country. And typically this is the situation when the European Consumer Centre by the Czech Trade Inspection can help. “Cases are not always clear at the beginning, it is necessary to investigate and find out where the problem is. This is why it is a question whether the trader from our clip has ever sent the tea and whether it is not only the customer’s imagination,” explains Ondřej Tichota. The clip is available at http://www.youtube.com/watch?v=4FS58S9jfKw. 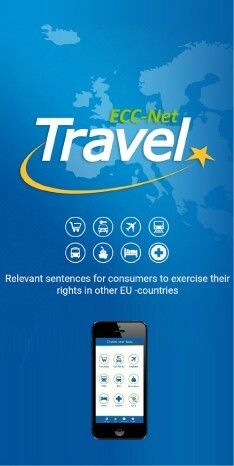 More information on European consumers’ rights are to be found on www.coi.cz/esc.